Bought this one earlier this year. 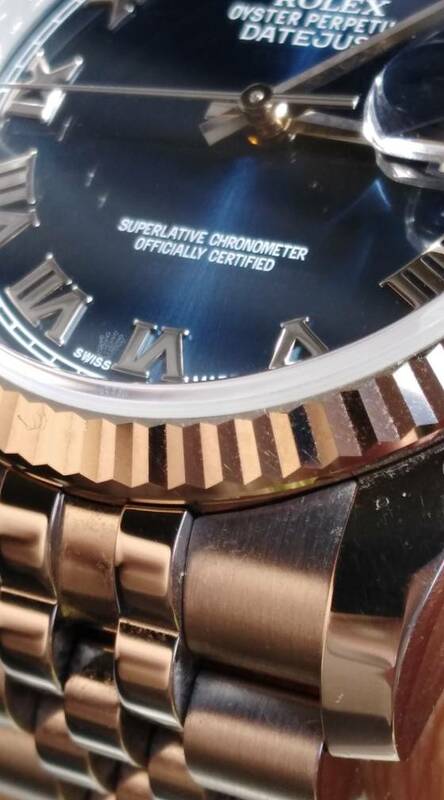 Great watches. Just bought one today - delighted with it! Here's my Z Series 116200 DJ, purchased in June. 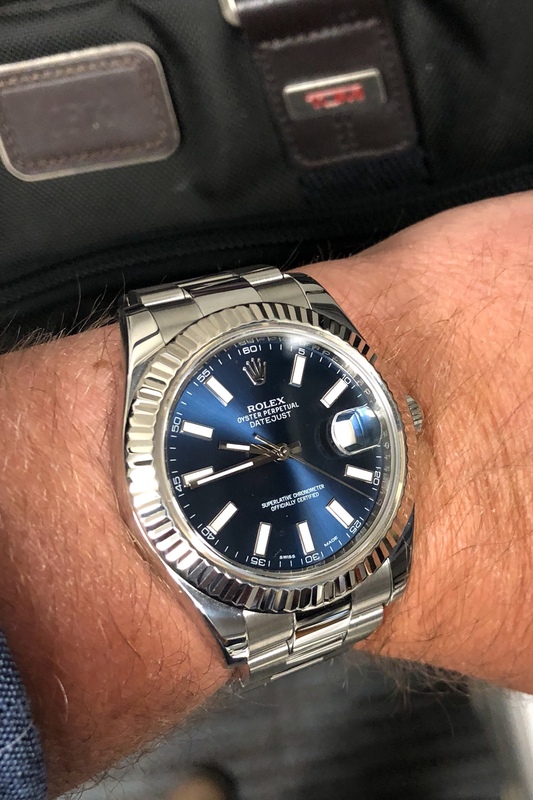 I love the Oyster bracelet and smooth bezel. This is fantastic looking. I think that's the only DJ I've liked so far with the roman numerals..
Just recieved mine from wifeee several weeks ago. Love it. This has always been my grail & always will be. 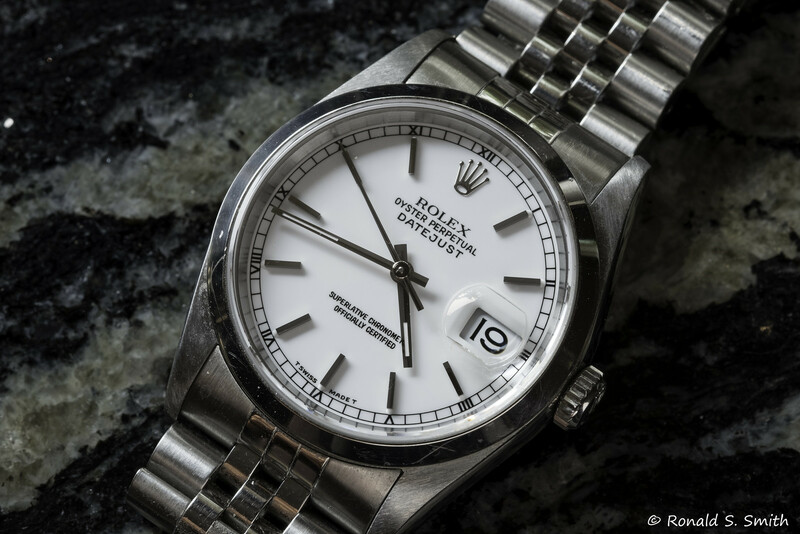 Always good to see another rhodium dial white gold / stainless steel Datejust in the wild. I enjoy the mechanical sculpture appearance of this color combo. 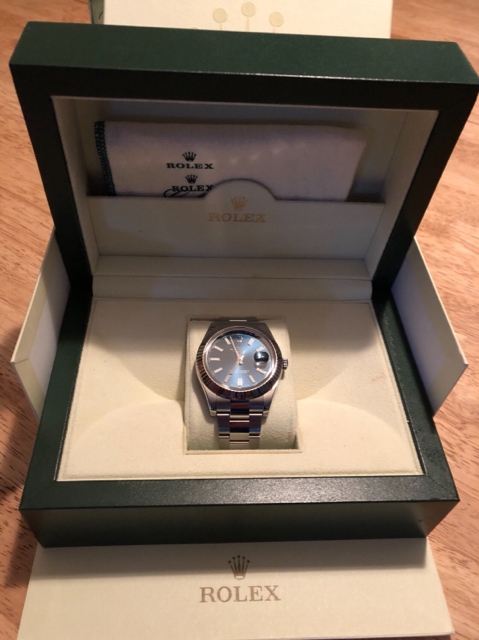 I purchased mine as a 4 month old pre-owned watch with it's box, original sales receipt and documentation. Totally worth the $ savings off retailed price. My 16200, purchased new in 1997. Gorgeous during day time. Not so much at night. Price you have to pay for WG Roman numerals. 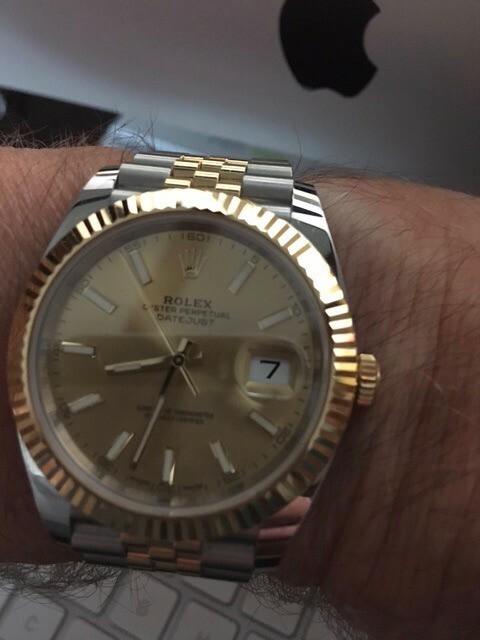 I have been considering the datejust 41 but cant decide if I should go the rosegold. Would you say it could work as a everyday watch? 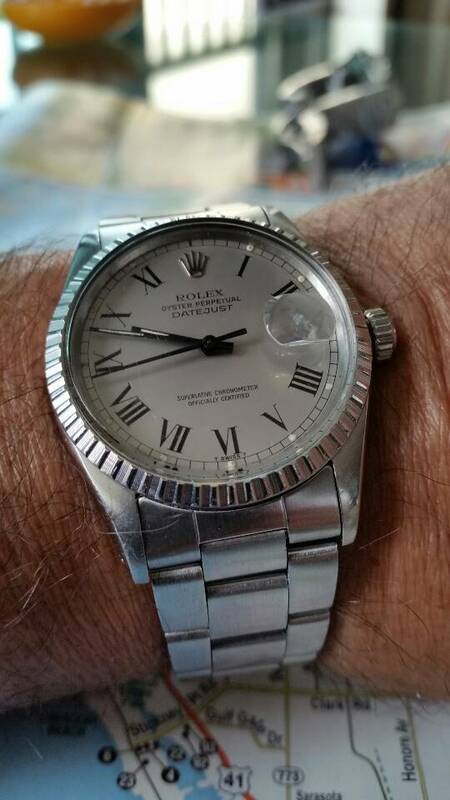 what year was this watch? 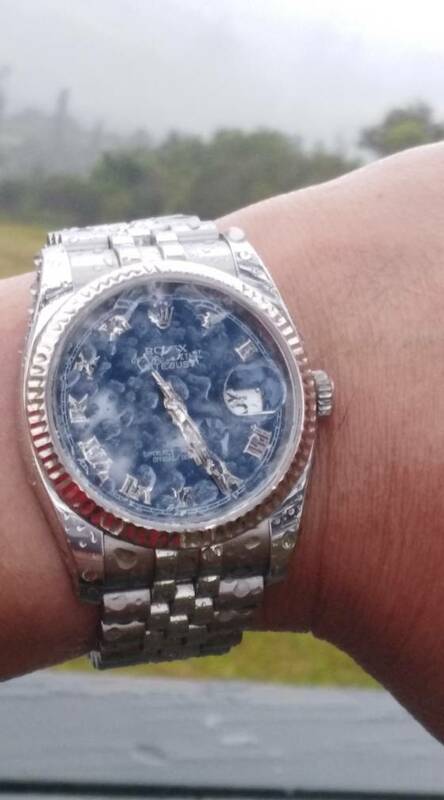 I'm about to buy a 36 with silver dial and jubilee. My favorite combo!